Shirts With Random Triangles: Four MAC teams are bowl eligible. Here's the rundown of MAC teams going bowling. Bowl projections are from SB*Nation's Jason Kirk. 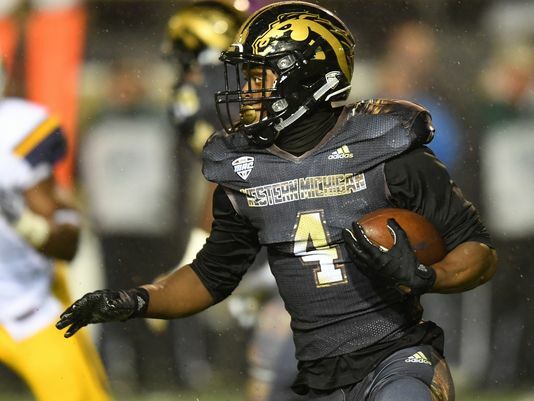 The above projections are, of course, based on the premise that 1) Western Michigan defeats Ohio for the MAC title on Friday, and 2) Navy somehow doesn't manage to jump ahead of Western Michigan in the final CFP rankings, or forces the College Football Playoff committee to delay selecting a Group of 5 representative until after the Army-Navy Game on Dec. 10. Isn't unexpected bowl chaos grand?